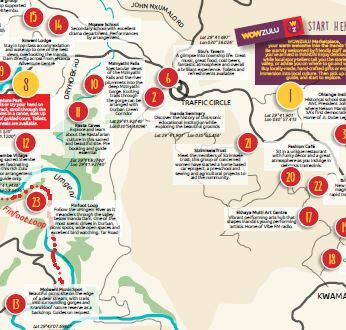 Green Corridor (Part 1) - A trip to Inanda Valley Anyone? When I received an email with the subject “A trip into Inanda Valley Anyone?, my mouse stopped in its tracks. I didn’t hear the phone and my fingers flying over the keyboard came to an immediate halt. Another opportunity to leave home at the crack of dawn, explore, come home drunk with excitement, exhaustion and contentment had just appeared in my in-box. Peter, a local camera club member sent out an email inviting us to explore the Inanda Valley just outside of Durban. Without hesitating, my reply was ‘yes’. Most of the activities and attractions along the route are managed and owned by the local community. This means the people are benefiting and lives are being enhanced by our support. Everyone welcomed us with huge smiles, yells of Sawubona and waves/handshakes. Go to The Green Corridor for more information and see the tours they offer. The following is an account of my first experience, hopefully more will follow in the coming months. After meeting at a service station in Pinetown, receiving gps co-ordinates we headed out. Let the adventure begin. In convoy we snaked through Wyebank and Molweni (suburbs of Durban), to the Inanda Dam Wall. Fully expecting Peter to stop, he continued winding up a steep sandy road until we arrived at the top of the Mtabatula Hill (meaning ‘to be quiet’). Here we were subjected to a spectacular bird’s eye-view of Inanda Dam. This was a perfect spot to enjoy coffee and muffins. The air was crisp and fresh and we were surrounded by staggering landscape views. Our next stop was Matata or Nanda hill which also offered breath-taking views. On route we passed through a Shembe Village. Here thousands of Shembe pilgrimagers gather every January. It was eerie driving through this now abandoned village only seeing traces of human habitat. It is completely deserted. After admiring the view and taking hundreds of photos we then in search of waterfalls. This is when I was quite gob-smacked – I had no idea Durban had waterfalls, let alone spectacular ones. I had no idea Durban had waterfalls, let alone spectacular ones. Our first waterfall was the Mzinyati. The falls plunges about 100m into the Mzinyati gorge surrounded by magnificent rock cliffs and thick lush pristine vegetation. To the left of the waterfall is the Rasta Caves. Access to these caves is with a pre-arranged guide and includes a rocky climb down. Another day of adventure to be planned. The cave is used by the Rastafarians Durban who meet in this sacred area. From there we made our way toward Nagle Dam. On the way we found some interesting rock outcrops offering wonderful photographic opportunities. Unfortunately we could not stop for long and begs for us to return again. Waterfall number two (doesn’t have a name) was on the Thaleni River. It is more like a cascade – water flowing over a gneiss. (New word for me meaning ‘a metamorphic rock with a banded or layered structure’). Ignore the big words, the falls looks like a very large slide in a waterpark. Once again, the magnificent vegetation surrounding the falls took my breath away. I felt amazed that I was a mere 40 or so kilometers from home. The day had swiftly passed and it was almost time to hed home. First a quick visit the uMsilili Falls. Access to these falls is a drive through a thick grassy barely visible path/road. We were also surrounded by cattle in the company of two young herd boys. Once again we were surrounded by spectacular views, pristine vegetation and sheer pleasure. The balance of our muffins were shared with the herd boys. We then had to bid farewell to our fellow adventurers. A big thank you to Peter with a promise to return.